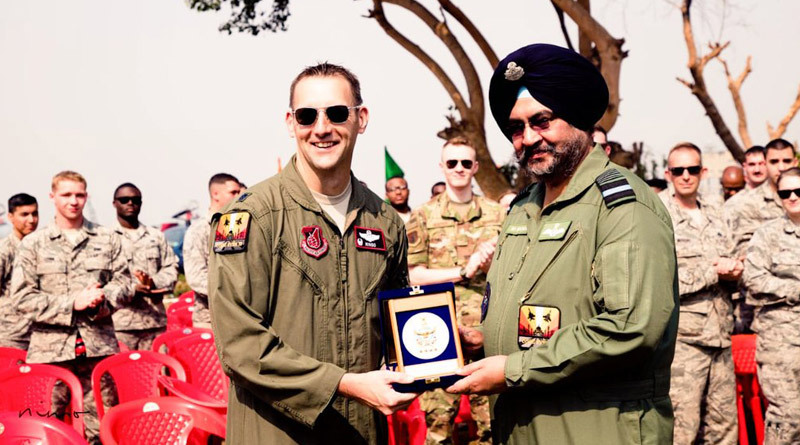 Chief of the Air Staff Air Chief Marshal BS Dhanoa visited Air Force Station Kalaikunda on December 5, to interact with participating forces of ongoing Ex Cope India 18 between U.S Air Force (USAF) and Indian Air Force (IAF). The CAS was received by Air Officer Commanding-in-Chief Eastern Air Command, Air Marshal Nambiar and Air Officer Commanding Air Force Station Kalaikunda, Air Cmde Saji Antony . The fourth edition of Ex Cope India is being held to mutually exchange best practices and provide operational exposure to participants. USAF is participating with F-15, C-130 and IAF is participating with Su-30MKI, Mirage-2000, Jaguar, C-130J, AWACS and AEW&C. Additionally, Special Forces from both the air forces are also participating in the exercise. ACM BS Dhanoa was briefed in detail about the exercise. After the briefing, the CAS visited the USAF and IAF detachments. 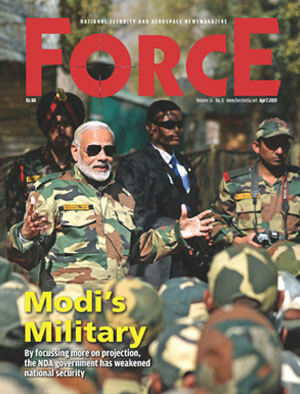 He interacted with members from both the Air Forces and complimented them for their professional approach and conduct.